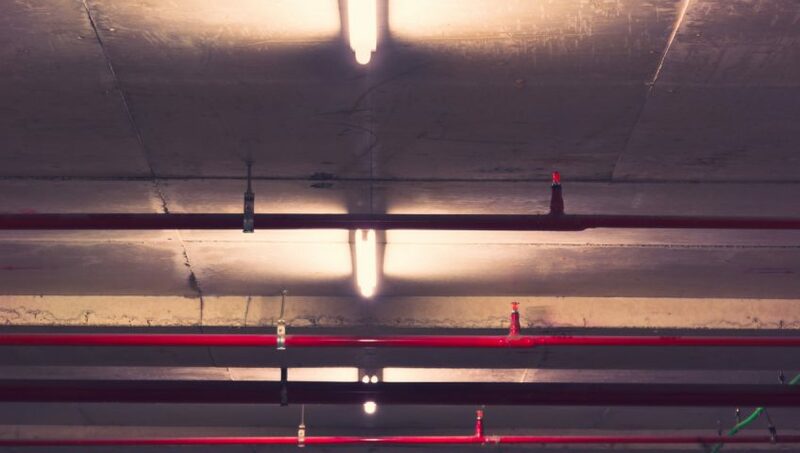 One of the most common forms of fire sprinkler back-ups is to have a battery available in case the electricity is unavailable to a particular part of your building. It’s not unexpected to have fire eat through electrical cables, causing outages to the very sprinkler system that should be protecting your building. When you have a standby battery option, you’re protecting your building and your staff from the danger of a fire that is raging out of control. As your sprinkler system is starting up, your system will often have a booster pump to help equalize pressure early on. Also known as a jockey pump, this system helps maintain pressure during times of extreme stress, but is not powerful enough to bring the system up to full pressure by itself. Keeping additional sprinkler heads on hand is extremely important. Each sprinkler head comes equipped with bulbs that are set to break at specific temperatures — which is what triggers them to become operational. While unusual, sprinkler heads can be triggered accidentally, and if you don’t have adequate additional sprinkler heads on hand you may be leaving your building without the fire protection that you need. Replacing worn or outdated sprinkler heads is something that your fire protection partner can review on a regular basis as part of your ongoing maintenance strategy. Keeping your fire protection system in tip-top shape is critically important, as it can not only reduce the chance of injury in a fire but also provide you with quick notifications that you have a problem. At AAA Fire Protection, our industry-leading 24/7/365 support ensures that you are always protected and that you will always be able to speak with a human when you call. Contact us today at 855-778-7807 anytime with questions or to learn more about our fire protection services for your business.